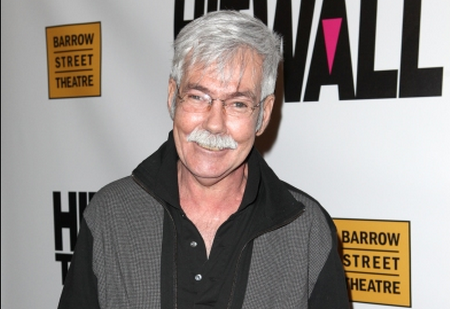 One of the few remaining verified Stonewall riot participants Danny Garvin sadly passed away at the age of 65 in December of 2014. Not long before his unfortunate death Danny Garvin along with fellow Stonewall veteran Tommy Lanigan-Schmidt were interviewed and described that fateful summer night in 1969. Danny and Tommy have been noted as “the two most knowledgeable sources” on the historic riots by fellow LGBT historian David Carter. Danny was there the night it opened (on his birthday in 1967) and became a regular customer of the Stonewall Inn,” David Carter said. “He met his first love there by dancing with him, dated the main doorman (Blonde Frankie), and was roommates with one of the men who worked in the coat check. Danny’s knowledge of the club has contributed a lot to a better understanding of the Stonewall Inn. Fortunately, Danny also happened to walk up the street soon after the June 1969 raid began, and his detailed memories of that night significantly add to our knowledge about the Uprising,” Carter added. Gay men like Danny Garvin are our true heroes of the riots. They have received little or no recognition while others have been given the glory for Stonewall that they do not deserve because of a certain groups revisionist history to promote their own agenda. Without gay men like Danny Garvin and Tommy Lanigan-Schmidt we would not be where we are today. You can listen to Danny Garvin and Tommy Lanigan Schmidt in their own words recount what happened that night almost 50 years ago on June 28, 1969 at the Stonewall Inn. Thank you so much for this. Is there other Stonewall audio on the blog? I would love to listen to whatever you have. Thank you so much for your efforts in recording and preserving this testimony. Regrettably the participants at Stonewall will not be with us forever, and I believe it is monumentally important that their voices be recorded and heard by queer generations yet unborn. As the old saw goes, those who forget the past are doomed to repeat it. We have fought much too hard and much too long to go back to the bad old days and cede even the smallest portion of our rights: we need these heroes and these pioneers to set an ongoing example! Thanks, Will! Too bad Jim Fouratt, Forrest, or myself weren’t there to shut down some of David Carter’s nonsense! Well to honest. Martin Dubermann has some nonsense of his home and both come from trying to finally doucument the Riot 20+ years after it happened.